The accommodation consists of light bright entrance hallway with staircase to the upper floor, under stair storage cupboard, WC and utility room with sink. The kitchen is accessed from the hall and has a good range of floor and wall mounted units with open outlooks to the front of the property. From the kitchen, there are double doors to the dining room and access from the dining room to the lounge. The lounge is bright and spacious with solid hardwood flooring, modern décor and sliding patio doors to rear garden. 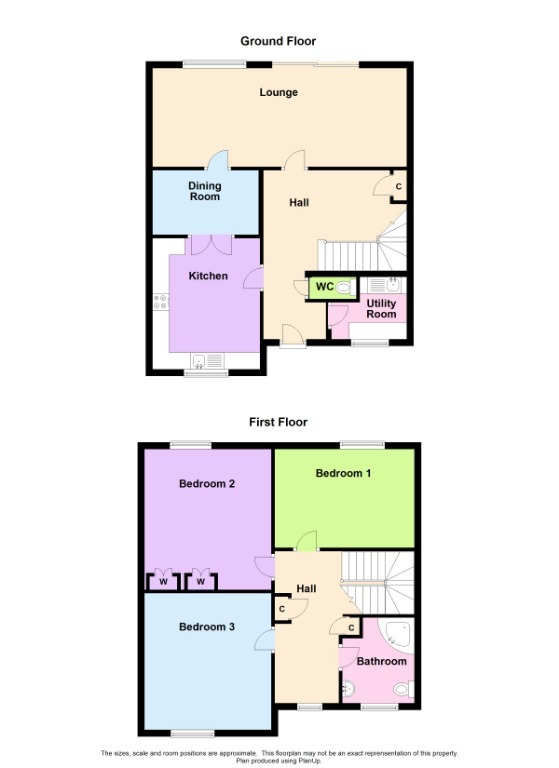 On the upper floor there are three double bedrooms, bedroom 2 having two double walk-in wardrobes, and the family bathroom featuring three piece suite comprising WC, wash hand basin in vanity unit providing useful storage and corner bath with overhead electric shower. The property has been freshly decorated throughout and has new carpets.